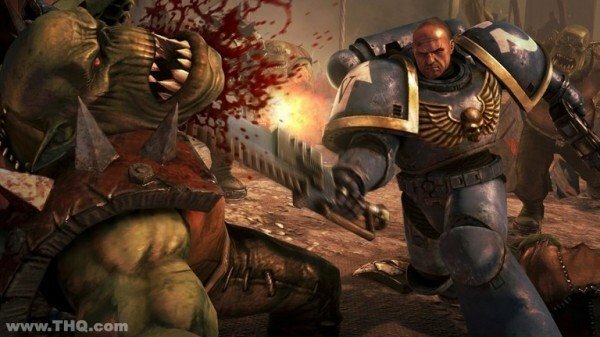 A new developer diary from Relic Entertainment has just been released for Warhammer 40K: Space Marine. Within its runtime of nearly four minutes, members of the development team talk about their inspirations and plans while developing the soon-to-be-released third-person action game. The inspiration includes (but is not limited to) the film industry, as the team hopes to have delivered a product that feels like a great action movie. Spread amongst some visceral action scenes from the game are interviews about other topics as well, such as the grand scale of the environments and the sound design in certain areas. All of which sounds pretty cool. From everything I’ve seen thus far, Warhammer 40K: Space Marine is certainly looking like a quality game. I’m looking forward to playing it when it’s available early next month. September 6th, to be exact. Check out the developer diary below and let us know what you think in the comments. Do you feel the same?